Culver City, Calif. — St. Patrick’s Day is celebrated by millions across the country, often culminating in parties where drinking is involved. Sadly, this leads to tragedies on our roadways, because of drivers who choose to leave parties impaired. 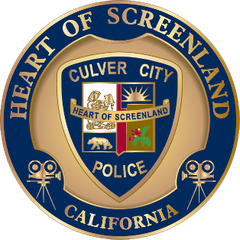 This St. Patrick’s Day (March 17), the Culver City Police Department will have additional officers on patrol from 9 P.M. ready to stop and arrest drivers suspected of driving under the influence of alcohol and/or drugs. Due to St. Patrick’s Day becoming a dangerous holiday on our roads, the Culver City Police Department encourages everyone to plan ahead and use a designated sober driver, ride-share, or public transportation. Even one drink can be one too many. "Don’t even put yourself in a position where you need to ask whether you are okay to drive," Culver City Police Department Chief Bixby said. "If you feel the slightest hint of a buzz, you should not be driving." The Culver City Police Department also wants to remind everyone that a "DUI Doesn’t Just Mean Booze." Prescription drugs, over-the-counter medications and marijuana can all be impairing, especially in combination with alcohol or other drugs. "We all know the dangers about driving impaired," Culver City Police Department Chief Bixby said. "Let’s all be responsible adults and help each other get where we need to go safely."